Before Drone Cameras: Kite Cameras! 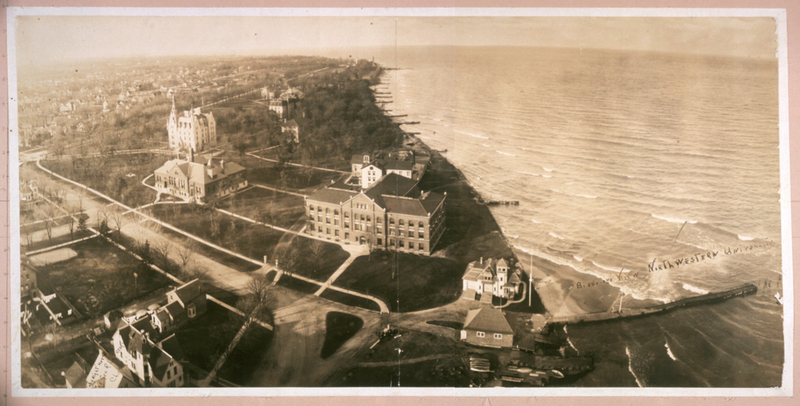 : The Picture Show More than 100 years ago, long before remote-controlled drones, a photographer used kites to capture aerial panoramic photographs. 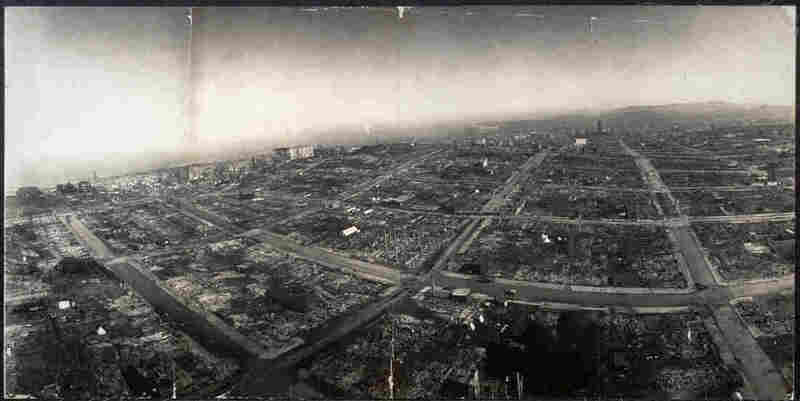 Ruins of San Francisco, 500 feet above Hyde and Green streets. These days, getting an aerial shot is as simple (although maybe illegal) as strapping a camera to a drone. Back in the day, though, it wasn't so easy. George R. Lawrence, a commercial photographer at the turn of the last century, was known to tinker. (His Chicago studio advertised "The hitherto impossible in photography is our specialty.") He was often hired to photograph conventions and banquet halls with a specialized panoramic camera he had built himself. In 1901, he had a loftier idea: to lift his panoramic camera off the ground. And not just a few feet — but hundreds. International ballooning contest, Aero Park, Chicago, July 4, 1908. View of New York City from the Times Building. 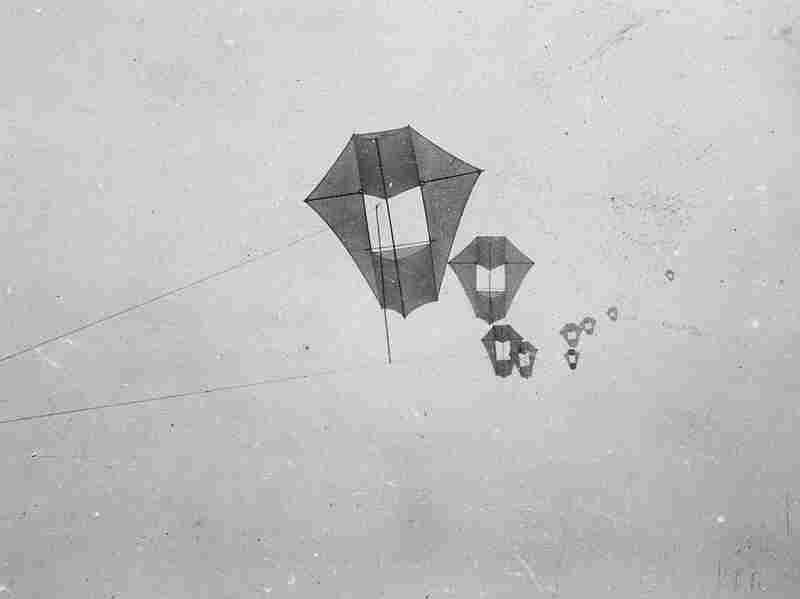 Early aerial photography techniques relied on the flying resources available at the time, which, in 1900, were limited to air balloons, kites and, in some cases, pigeons. So Lawrence tried an air balloon. But on his first assignment with it, the balloon snapped free from the platform carrying him. He fell more than 200 feet to the ground, unhurt but shaken. View of Chicago from Majestic Building. A view of the kites in flight. Then he resorted to kites. Lots of them. Lawrence needed between nine and 17 kites to lift his massive camera up to 2,000 feet in the air. 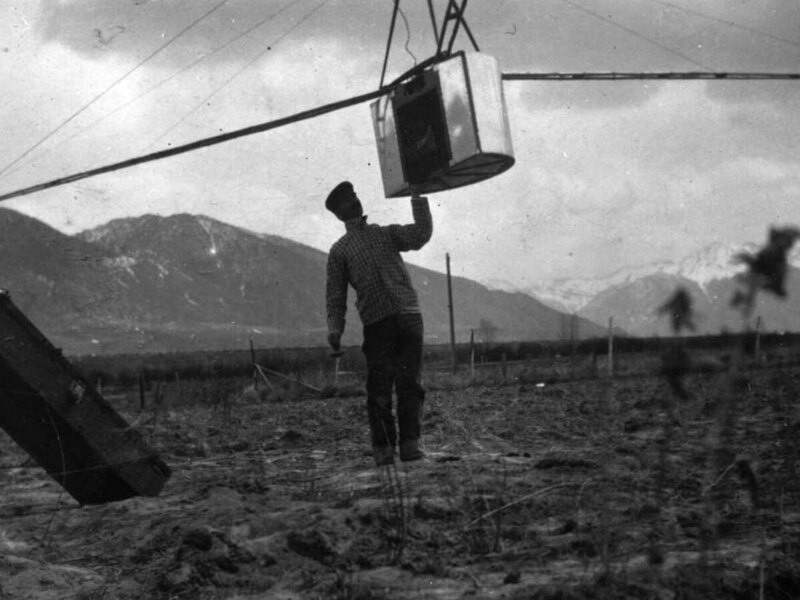 He added bamboo stabilizing arms and ran a steel piano wire from the ground up to carry the electrical current that would trip the camera shutter. Once a photo was taken, a parachute was released. He called his invention a "Captive Airship." Soon after, he began photographing aerial surveys, sports events and news events. And in 1906, he took perhaps his most famous photograph — a view of San Francisco after a devastating earthquake leveled the city. The photograph earned him around $15,000 in sales, and attracted the interest of the military. Ruins of San Francisco, 2,000 feet above San Francisco Bay overlooking the waterfront in 1906. Berkeley, Calif., looking east, from 1,000 feet elevation, 1908. Lawrence with the 49-pound "Captive Airship." At 49 pounds, the camera Lawrence built was a behemoth. But its size allowed him to expose large negatives, some as big as 20-by-48 inches wide, in remarkable detail. Even today, Lawrence's photographs seem unique in their perspective and approach. "Nobody really expects to see that level of detail from that time period," says Phil Michel, who has worked extensively with Lawrence's photographs at the Library of Congress. "Nobody else was able to do what he did at the time." Despite his success, Lawrence didn't stick with photography for long — by 1910 he had moved onto aviation design. But his photographs remain some of the earliest examples of unmanned aerial photography, a field attracting a lot more attention these days. You can see more of Lawrence's photographs here.